A cataclysmic change to our way of life is looming as the winter solstice of 2012 heralds the end of the 5,000-year Mayan “Fourth Age”. With its conclusion, will we see the end of the world as we know it, or the dawning of a new golden age? Category: Ancient Wisdom, Conspiracy Theories & Alternative History, Religion and Spirituality Tags: ancient civilization, ancient wisdom, apocalypse, Enlightenment, mayan, prophecies. The Maya are an ancient civilization founded some 4,000 years ago. They were advanced in many ways, including their written languages, their art, their architecture and, of course, their mathematical and astrological systems. These achievements particularly with astrology and their infamous calendar, brought them many insights into the future for both themselves and for the world as a whole. 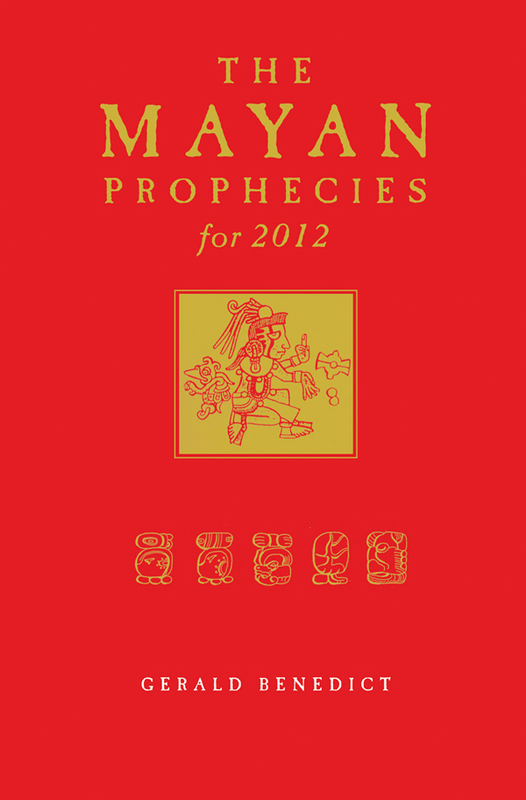 We are now approaching the end of one of their most famous calendar cycles, that of the 5,000-year Fourth Age – the Maya foresaw this time as one of cataclysmic change, a change that many believe heralds the end of the world. However, in this captivating book Gerald Benedict looks in depth into twenty-one of the most famous and culturally relevant prophecies and offers fresh insight into them –and shows that rather than a global apocalypse, 2012 will herald a radical change to our way of life and a profound transformation of our consciousness. These ancient prophecies relate to fascinating topics such as the New Enlightenment, Galactic Synchronization, the Return of a Supreme Being and Changes to the Earth’s Magnetic Field. Challenging us to make real changes to our lives now, they are a wake-up call to us all.